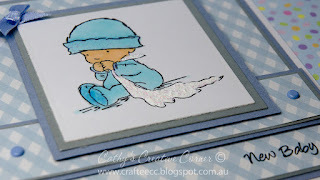 I finally managed to get the new baby card that I mentioned in my previous post done & dusted, and I must say, I am really pleased with how it turned out. When I went hunting for what type of card I was going to make for my new great nephew, Archie, I looked through my stamps and found a Lily of the Valley stamp I hadn't used. So I went looking for layouts I could use to incorporate that stamp. 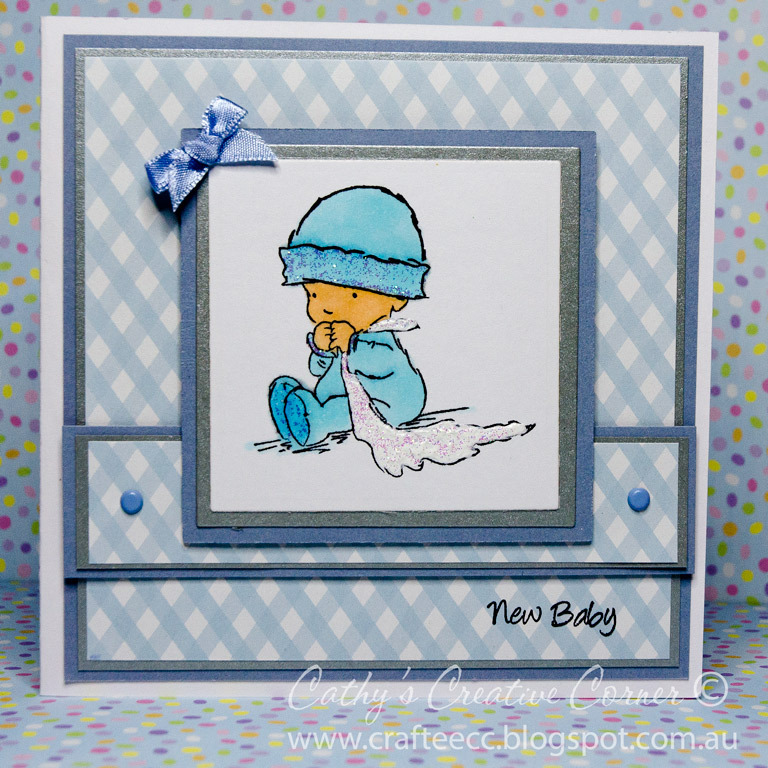 I was inspired by a card created for an old challenge blog called Here Come the Boys by Sharon, unfortunately, the blog doesn't exist any more, it closed in 2013 - but I did save the image as inspiration for the future. 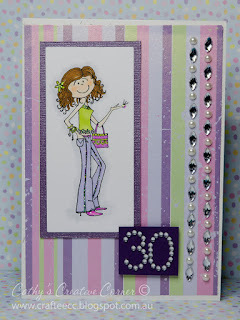 Several layers have been cut with Spellbinders dies, Lily of the Valley stamp hand coloured with copics, embellished with liquid paint & kindy glitz, and a ribbon.